Bloomberg and Twitter have teamed up to launch what they claim is the world’s first global social news network. Tictoc offers coverage of breaking news events and an hourly global news update optimised for on the micro-blogging platform. Content includes a mixture of live video, reporting from Bloomberg’s journalists and curated and verified user-generated material. The service offers news updates from 6am to 10pm but is set to expand to 24-hour coverage in early 2018. It will focus on general interest news worldwide and is designed to be fast and interactive. TicToc will feature sponsored (or native) content “woven into the video programming”, according to a spokesperson, and is viewable on any device. It is backed by seven founding partners: AT&T Business, CA Tech, CA Technologies, CME Group, Goldman Sachs, INFINITI, SAS, TD Ameritrade. 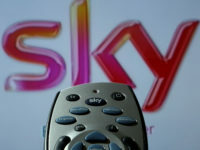 Bloomberg Media chief executive Justin Smith said: “We’re seeing a shift in the media landscape today: more content companies are partnering with platforms to create hybrid businesses that better serve consumers and society. 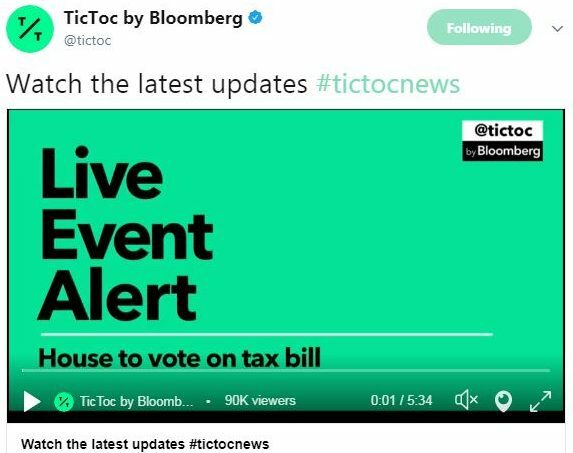 “With TicToc by Bloomberg, we’re fusing the best of Bloomberg and Twitter to build a fast and credible modern news experience. Twitter’s chief operating officer, Anthony Noto, said: “Twitter is where people go for breaking news, and now our global audience can turn to TicToc by Bloomberg at any time to see what’s happening. Hourly global news updates are available at @tictoc on Twitter or by Bloomberg via live.twitter.com/tictoc on desktop and mobile. TicToc is available in English and is free and accessible worldwide to Twitter users. Bloomberg currently live streams three of its daily Bloomberg Television programs on Twitter. The news media agency has 2,700 journalists and analysts across 120 countries.